Наиболее полный набор инструментов для управления батареи. Показывает данные (%, мА, мВт, мВ и температуры), вычисляет время заряда и разряда батареи, помогает калибровать батарею и улучшает работу. • Pro version has all features unlocked and no ads. • Wide (2x1) and graphic (2x1, 3x1, 4x1) widgets. • Export data to System Tuner Pro. • Update battery capacity or reference based on measured data. • Keep information of unlimited number of batteries (2 in free). • Add history markers manually or automatically on boot, ROM/kernel/battery changes. • Display all information using great looking graphics, fully scrollable and zoomable. • Use additional packages to show great looking icons in notification bar. 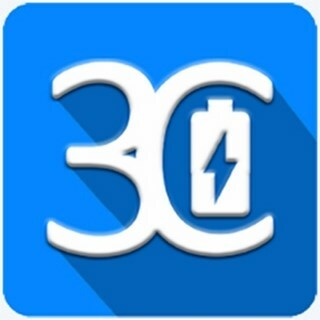 • Display historical graphics or battery data on your home screen using widgets of various sizes! • Triggers alarm based on any battery data. • Manually resets battery statistics on rooted phone. • Calculate remaining time while unplugged or charging (AC/USB/Wireless). • Calculate actual battery capacity. • Online help accessible from app. • Export data to System Tuner Pro to analyze which process is responsible for battery drain! • Special support for Asus Transformer, Padfone, Inno D6000 and HP dual battery devices. • Special edge support for Samsung Galaxy S6 Edge, Note Edge and S6 Edge+.